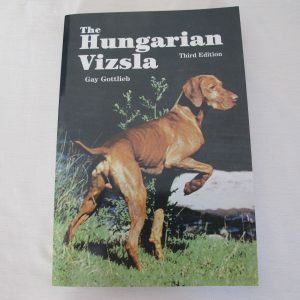 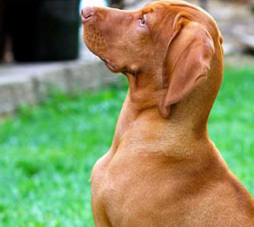 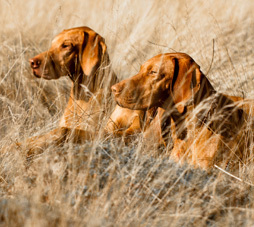 The Hungarian Vizsla is one of the HPR (Hunt, Point, Retrieve) breeds and can be described as a medium sized and ‘many-sided’ hunting dog or, put simply, as an all-purpose gundog. 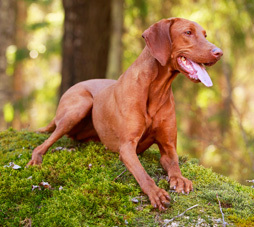 Although the breed has a reputation for being both easy to train and affectionate, you should NOT get the idea that owning one will be a picnic! 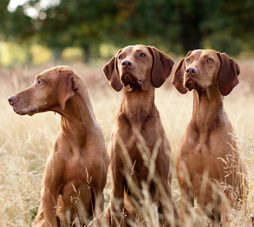 Their merits as working dogs are well known so the focus here is to comment on their role as a family pet, since a considerable percentage of all litters is destined to fill that post. 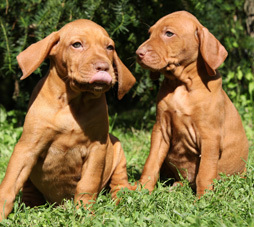 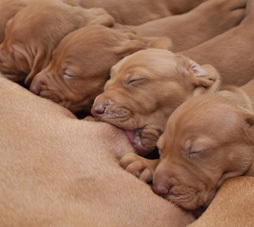 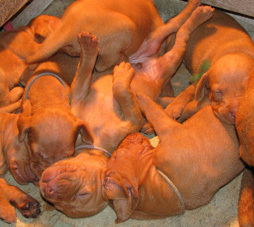 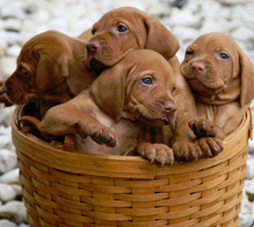 Your Vizsla will need careful management and clear and concise direction if it is to become a valued family member.